Be sure to check out Simon Reynolds’ Energy Flash blog, loads of interesting music related articles. 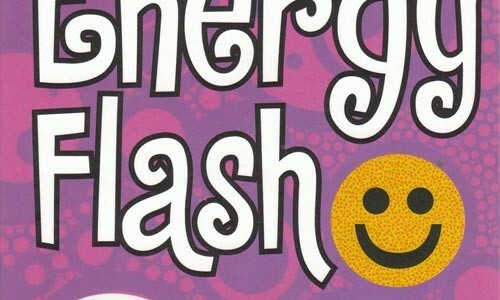 For those that have never heard of Simon Reynolds, he’s a music journalist and author of “Generation Ecstasy” and “Energy Flash”, two great books about rave culture. We’re bigs fans of Simon here, not least because he’s always had nice things to say about 2 Bad Mice but also because he’s a super nice guy that always stood up for dance music when many of his fellow journos (especially at Melody Maker and NME) were very snooty and dismissive about it. According to Wikipedia, he’s also from Hertfordshire so kudos for that! As a footnote, I’ll always remember his review of the first Voodoo Magic event at the Equinox in Leicester Square where in his description of my PA of The Helicopter Tune, he referred to me as “a small, unassuming bloke”. Simon if you’re out there, 5 minutes earlier I was being sick backstage after overdoing it on the free booze, I was literally begging not to go on.